Most Reverend Bishop Robert Harris, D.D., Bishop of the Roman Catholic Diocese of Saint John will be officiating this special feast day mass. 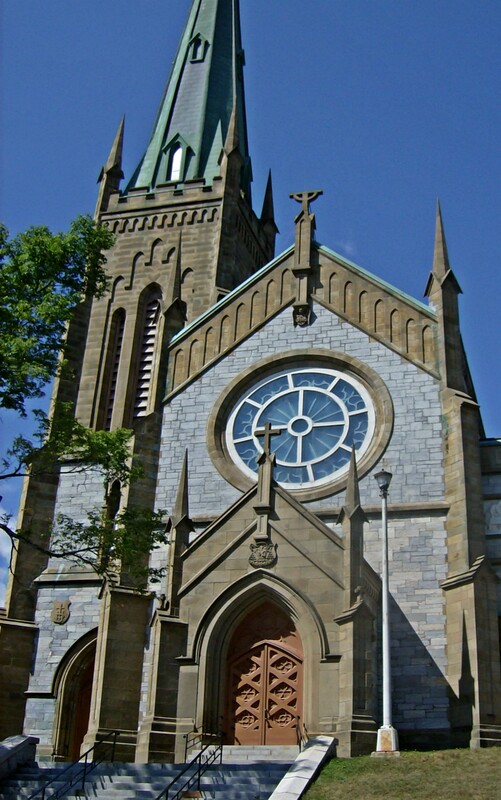 Following the mass, everyone is welcomed to the Cathedral of the Immaculate Conception Rectory, also located at 91 Waterloo Street, in Saint John, New Brunswick for a reception. 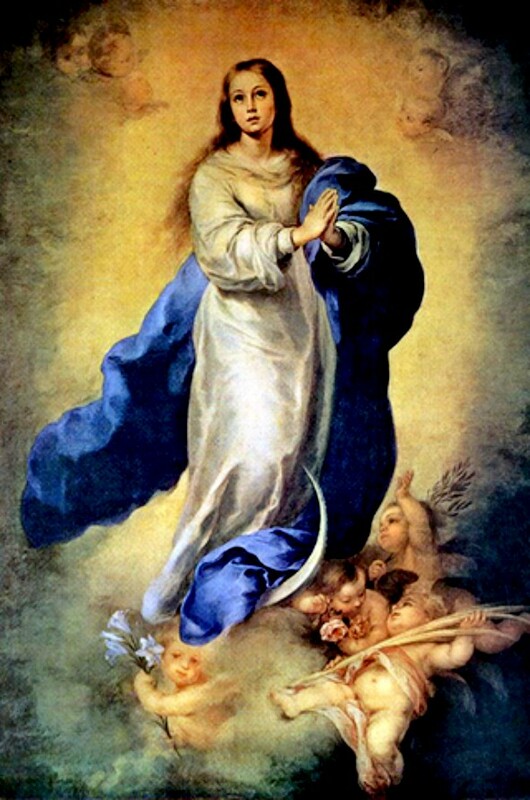 The Immaculate Conception is one of the most important Marian feasts in the liturgical calendar of the Roman Catholic Church, and is celebrated worldwide. By Pontifical designation and decree, it is the patronal feast day of Argentina, Brazil, Korea, Nicaragua, Paraguay, Philippines, Spain, the United States, Uruguay and Italy. By royal decree, it is also designated as the Patroness of Portugal. It is celebrated by the Roman Catholic Church as well as a few other closely related Protestant Christian churches, but not by the Eastern Orthodox Church, the Oriental Orthodox Church, and Church of the East. The Eastern Christian Church first celebrated a “Feast of the Conception of the Most Holy and All Pure Mother of God” on December 9, perhaps as early as the 5th century in Syria. The original title of the feast focused more specifically on Saint Anne, being termed sylepsis tes hagias kai theoprometoros Annas” (“conception of Saint Anne, the Ancestress of God”). By the 7th century, the feast was already widely known in the East. However, when the Eastern Church called Mary achrantos (“spotless” or “immaculate”), this was not defined doctrine. The majority of Orthodox Christians do not accept the Scholastic definition of Mary’s preservation from original sin before her birth as subsequently defined in the Western Church after the Great Schism of 1054. After the feast was translated to the Western Church in the 8th century, it began to be celebrated on December 8. It spread from the Byzantine area of Southern Italy to Normandy during the period of Norman dominance over southern Italy. From there it spread to England, France, Germany, and eventually Rome. According to the Papal Bull Commissi Nobis Divinitus, dated 6 December 1708, Pope Clement XI mandated the feast as a day of Solemnity and a Holy Day of Obligation which is to be celebrated in future years by the faithful. Furthermore, the pontiff requested that the papal bull be notarized in the Holy See to be further copied and reproduced for dissemination. Prior to Pope Pius IX’s definition of the Immaculate Conception as a Roman Catholic dogma in 1854, most missals referred to it as the Feast of the Conception of the Blessed Virgin Mary. The festal texts of this period focused more on the action of her conception than on the theological question of her preservation from original sin. A missal published in England in 1806 indicates the same Collect for the feast of the Nativity of the Blessed Virgin Mary was used for this feast as well. The first move towards describing Mary’s conception as “immaculate” came in the 11th century. In the 15th century, Pope Sixtus IV, while promoting the festival, explicitly tolerated both the views of those who promoted it as the Immaculate Conception and those who challenged such a description, a position later endorsed by the Council of Trent. This marked no actual change in doctrine, but rather marked the first instance of formal definition of the dogma. In León, Nicaragua, the solemnity is celebrated with local parades and religious processions. It is considered Mother’s day in Panama. In Spain, since 1760, the day is marked as a national holiday as designated by Pope Clement XIII. In Italy, it is also a national holiday while since 1953, the Pope in his capacity as Bishop of Rome visits the Column of the Immaculate Conception in Piazza di Spagna to offer expiatory prayers commemorating the solemn event. The day marks the official start of the Christmas season in the country. ← New Year’s Eve Celebration and Fireworks!